While there are certain items that will be part of the package you choose, there may be other things that are not included, but you want anyway. They may be items that the family needs specifically for their services, or they may come back later for special keepsakes. 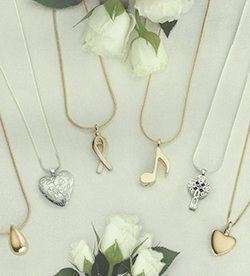 Even people who don’t use us for services often choose to purchase jewelry, keepsakes, and even memorial record packages from us. These are some of the products that we offer in our shop. 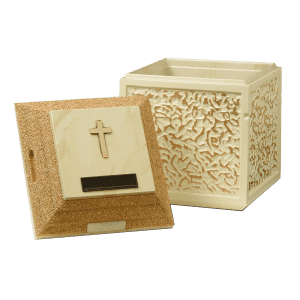 At the end of the cremation process, the family may choose to keep the person’s cremated remains in a container called an urn. These often have some element of décor, but can range from plain and simple to quite ornate. Sometimes the family buries the urn; other times they keep it near them, at home or their office. They find it is a comfort. 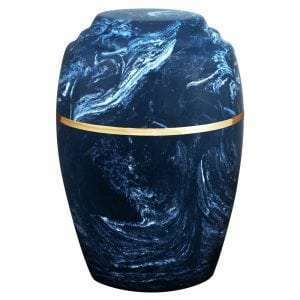 Urns can be constructed of many different materials, including metal, cast bronze, wood, glass, and ceramic. Quarried urns are made from quartz, slate, granite, alabaster, marble, fossil stone, and onyx. They tend to be unique due to the natural material. Cultured urns may also be used. They are comprised of man-made materials, but this allows them to be crafted into many different shapes and designs, making them a favorite for customization. 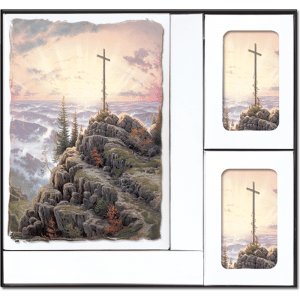 This is a boxed set that includes a memorial register book, 120 prayer cards, 50 acknowledgement cards, 1 memorial seed packet, 1 grief help book, 1 memorial bookmark, 1 lapel pin, 1 writing instrument and 1 floral card envelope. All cards will be customized with the person’s biographical information and service information as well as a poem or prayer as selected by the family. Pendants and other types of jewelry are a beautiful way for people to memorialize their loved ones and keep them close. These keepsakes have a space to hold a small portion of the cremated remains. We have a variety of designs available and they are usually made from gold, silver, brass, or pewter. Whether you are a member in the pre-planning stages, a family member with a deceased loved one, or a non-member who is looking for very special keepsakes, we are sure to have exactly what you are looking for. If you are planning to bury your urn, many cemeteries require it to be placed into an urn vault to protect the ground. The vault is also a place where you can tuck mementos and anything else you want to bury with your loved one. 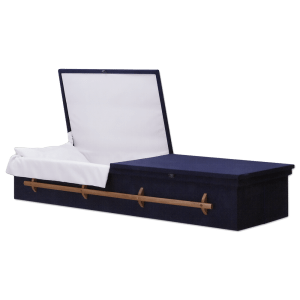 By law, a body must be placed into a cremation container prior to being cremated. That container must be rigid and fully flammable. It can be made of many materials but can not include metal parts, as it must totally break down during the cremation process.